If you are in the market for a new home then the very first step you need to take even before you begin your search for the perfect place is to get a pre-approval on a loan. Most Realtors won’t take you serious about looking for a home until you have your pre-approval. There are a few things that need to take place in order for a pre-approval to be a legitimate one. If your lender tells you that you are pre-approved within just a few minutes you may want to do some investigation to find out if it’s a legit pre-approval or not. Below are a few instructions on what you need to do in order to receive a pre-approval. Your lender must have found that you meet all the credit guidelines. They will look at things such as your debt-to- income ratio as well as your assets. 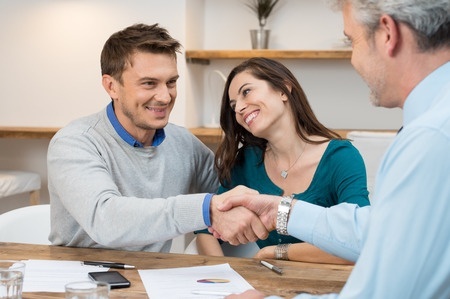 The lender will have talked with you about what money you need to have together for closing costs as well as what your mortgage payment will be monthly. Your lender will also go over any or all programs that you may qualify for. An automated underwriting must be made by your lender before you can move forward with your loan. If you have a good lender, he or she will talk with you about the different requirements to get a pre- approval and they may even determine that you need to work on a few things first and give it a bit of time before you apply for a pre-approval. Good lenders will spend the time needed with you to figure out where your finances are so that you don’t end up getting in over your head with a home you cannot afford. Take your time looking for a lender so that you have a good match and one that you can trust. After all, buying a home is a big deal and you need to be able to trust those who are leading you into your future and home ownership.